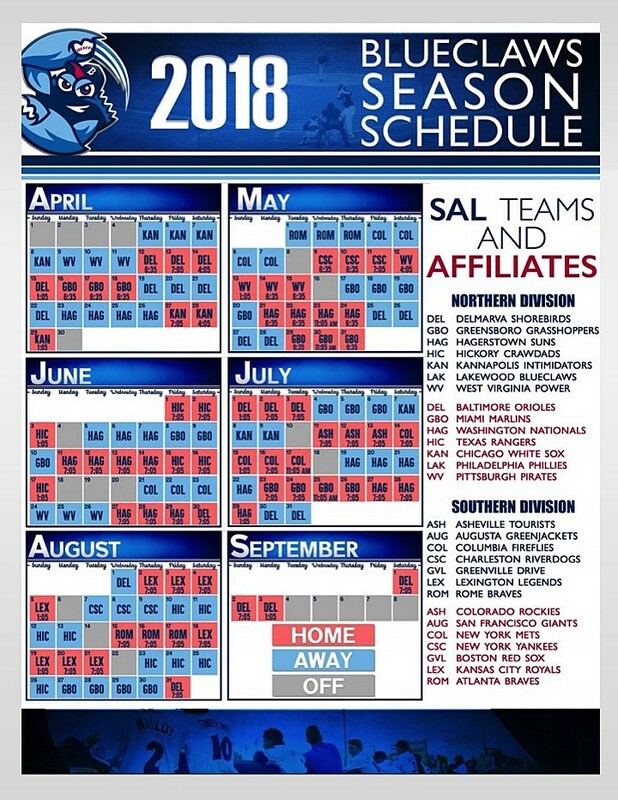 The Lakewood BlueClaws begin their 2018 season on Thursday, April 5th on the road in Kannapolis, North Carolina and once again the Shore Sports Network will be the radio home for the Class-A affiliate of the Philadelphia Phillies. All 140 regular-season games can be heard on Beach Radio 1160 & 1310AM with Greg Giombarrese behind the microphone for the ninth season in addition to serving as the Director of Media Relations. The game broadcasts will also be streamed live at mybeachradio.com. Coming off the best regular season in franchise history the Lakewood BlueClaws open the South Atlantic League playoffs Wednesday night in Kannapolis, North Carolina. The 2018 season is the 18th for the Lakewood BlueClaws, the Class “A” affiliate of the Philadelphia Phillies. However, it’s the first full season for a new ownership group and President/General Manager Joe Ricciutti. The Lakewood BlueClaws open their 2018 season Thursday night in Kannapolis, North Carolina and once again Beach Radio 1160 & 1310 will serve as the radio home for all 140 games. One of the first moves Shore Town Baseball has made as new owners of the Lakewood BlueClaws is naming a new team president and general manager.